I love my cats and want them to have the best when it comes to both food and water. Since I drink filtered water, I prefer to give my cats the same. 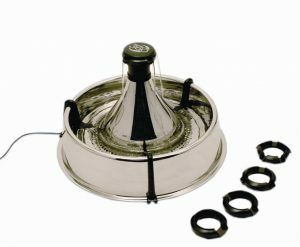 A friend told me about the PetSafe Drinkwell Stainless Multi-Pet Fountain, which dispenses water to pets like a drinking fountain. Here is my quick review of this water fountain for cats.